Hyundai TV commercial for the World Cup. South Korea’s soccer team may be heading out of World Cup 2014, but South Korean automaker Hyundai Kia Automotive Group clearly is in it to win it. As the official auto partner of the World Cup through 2022, Hyundai Kia is in a powerful position. With clever advertising running across ESPN and Spanish-language network Univision, Hyundai Kia dominates halftime, considered by some to be the most fertile territory for soccer commercials. So much so that Volkswagen is left to nibble around the edges during less-than-prime viewing time. Both Hyundai and Kia, which are separate brands, made hubspot.com’s list of “8 Brands That Totally Nailed Their World Cup Ads,” alongside heavyweights such as ESPN, McDonald’s, Visa, Nike and Adidas. 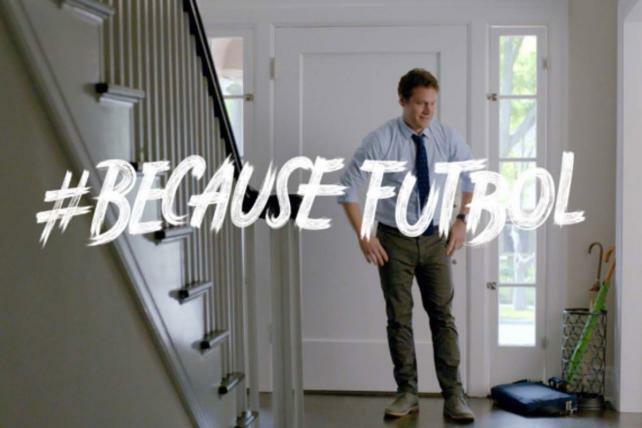 Kia’s campaign is ranked fourth by hubspot.com, while Hyundai’s “#BecauseFútbol” was ranked sixth. And, as if that isn’t enough, Hyundai offers the even better “Get In” commercial, featuring pro soccer stars Ricardo Kaká of A.C. Milan, Iker Casillas of Real Madrid and Oscar (that’s it, just Oscar) of Chelsea. Volkswagen’s commercials feature cars full of fans singing the ubiquitous, “Olé, olé, olé, olé,” presumably en route to a World Cup match, and famed Argentine game caller Andrés Cantor (“Goooooooooooooal”) and son, Nicolas, all navigating city streets in nimble GTIs. “The alignment between who watches the World Cup— and who drives a GTI – is perfect. That’s a match made in heaven for us,” Vinay Shahani, VW marketing chief, recently told Automotive News. See a different take on the World Cup commercials at RoadLoans.